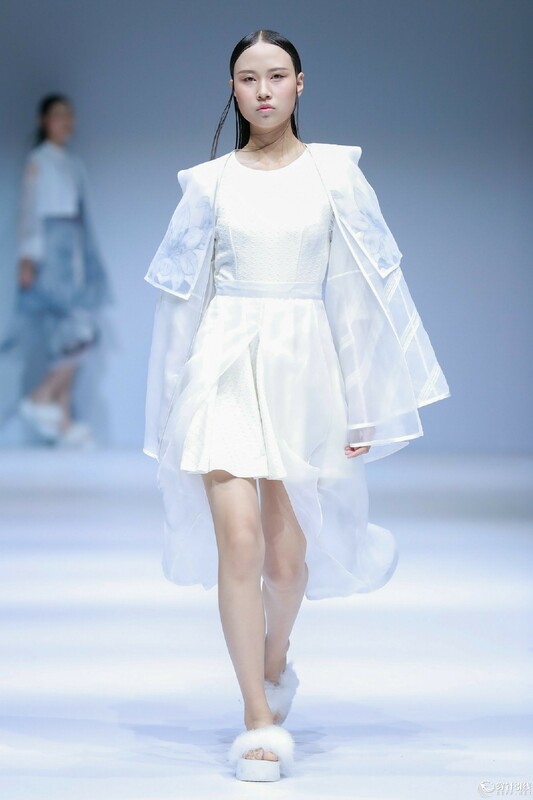 Apparel & Art Design College Graduate Show of Xi'an Polytechnic University was held in 79 Tank of Beijing 751D•PARK on May 15, 2018, with the theme “Origin, Memories and Record”. 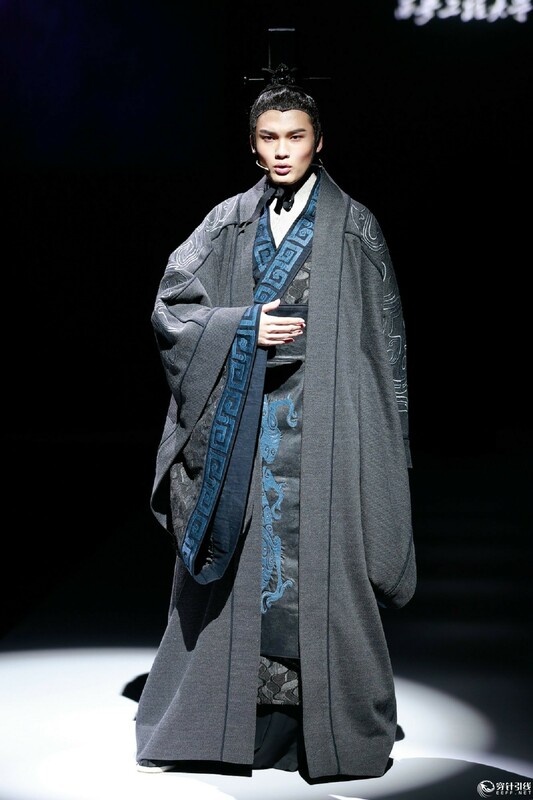 Since Zhang Qian was dispatched as an imperial envoy to Western Regions, the winding Silk Road has embraced the exchange of oriental and western clothing cultures. 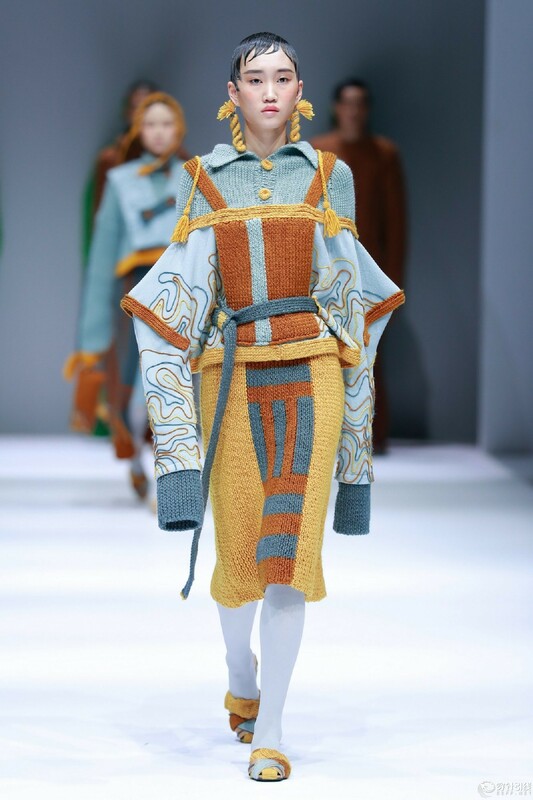 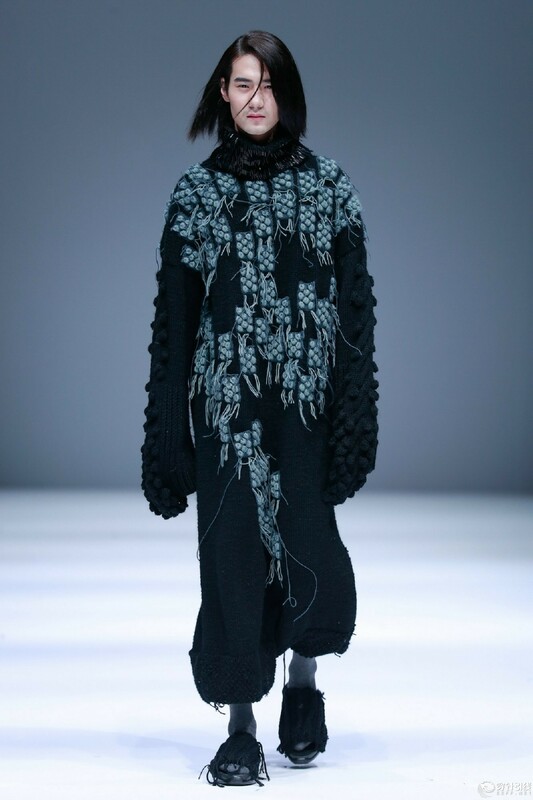 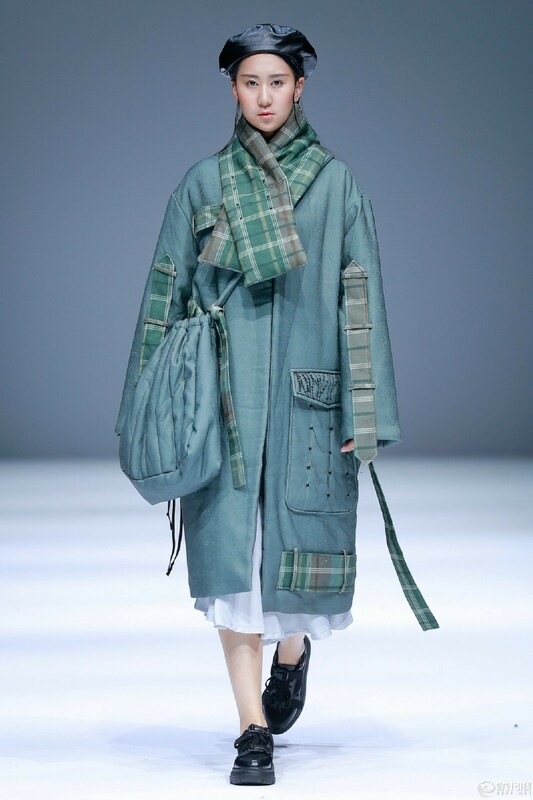 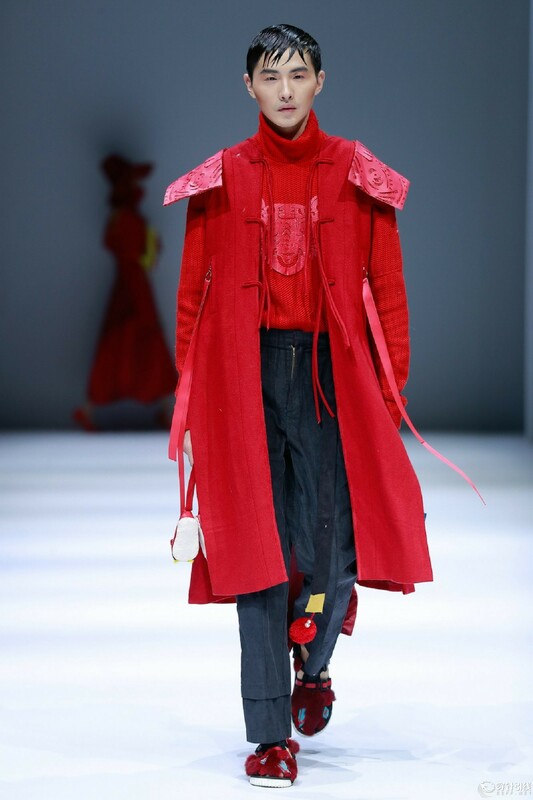 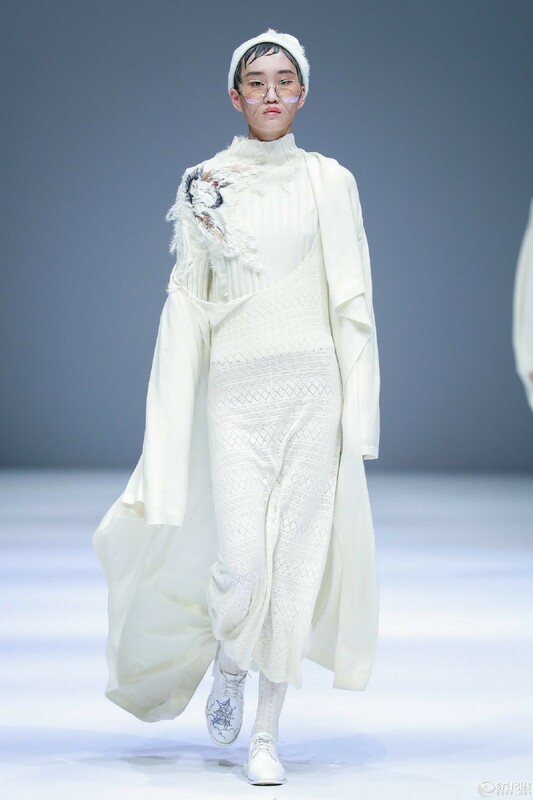 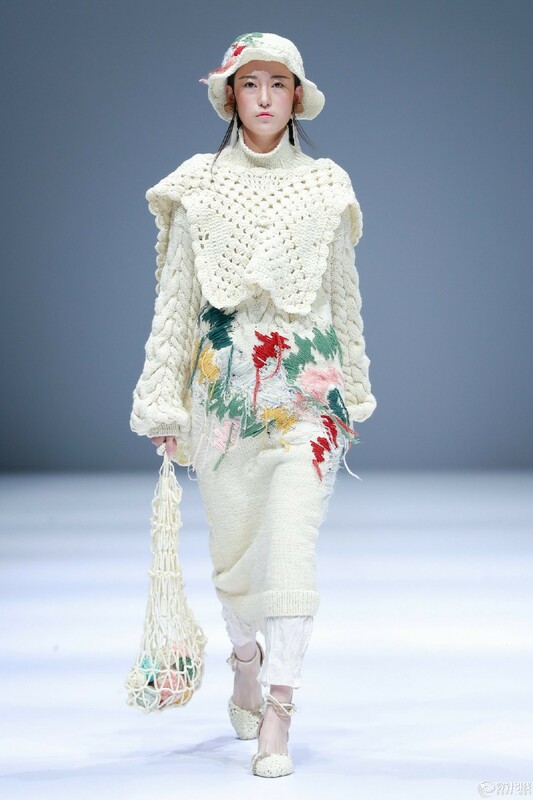 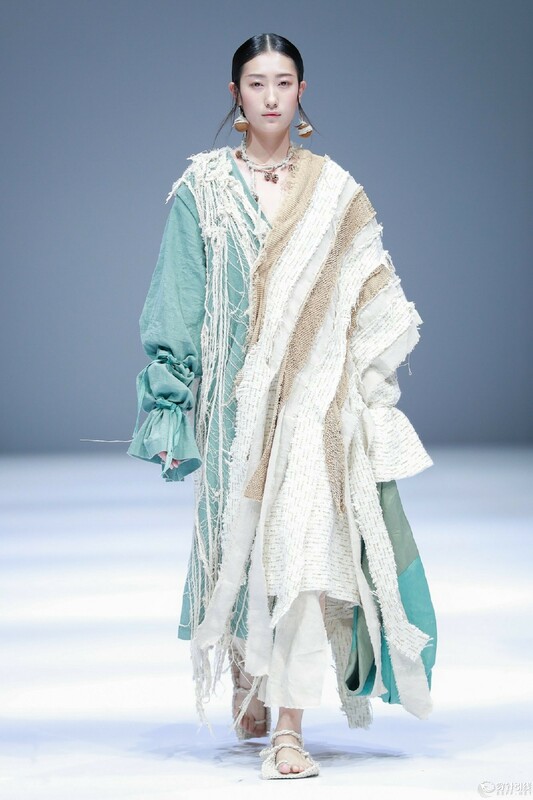 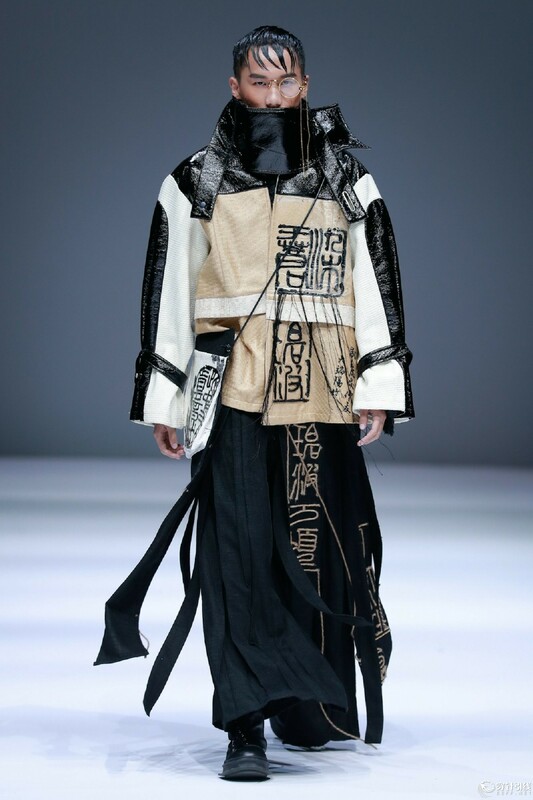 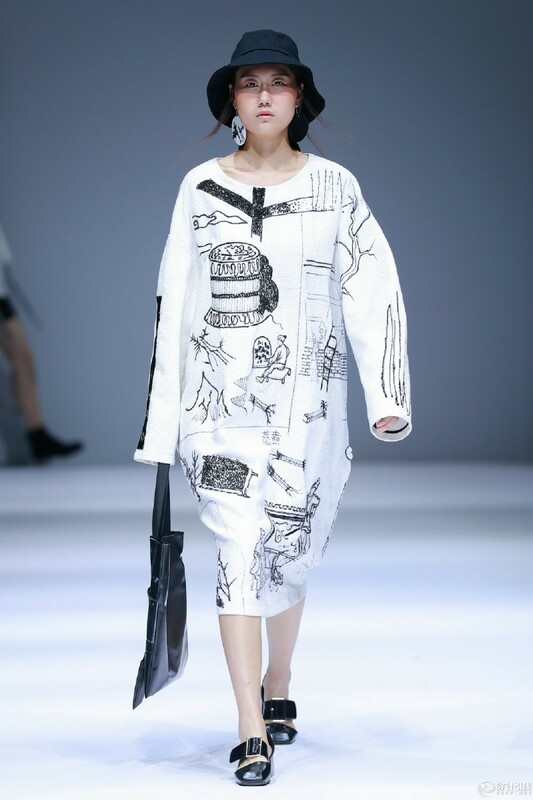 On the basis of digging Han culture and traditional art, the theme adopted the expressional method of showing personality to refine and convert traditionally cultural element and to reprocess and recreate traditionally artistic expression, thus to achieve the combination, development and innovation with modern fashion trend. 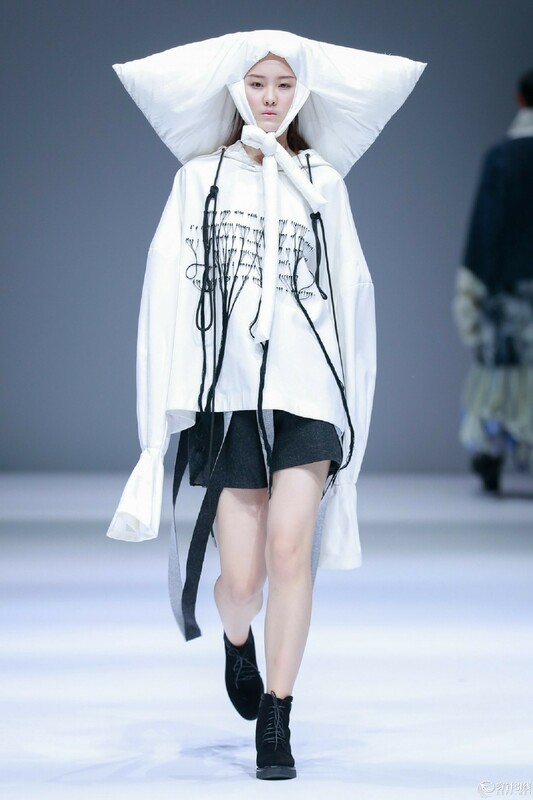 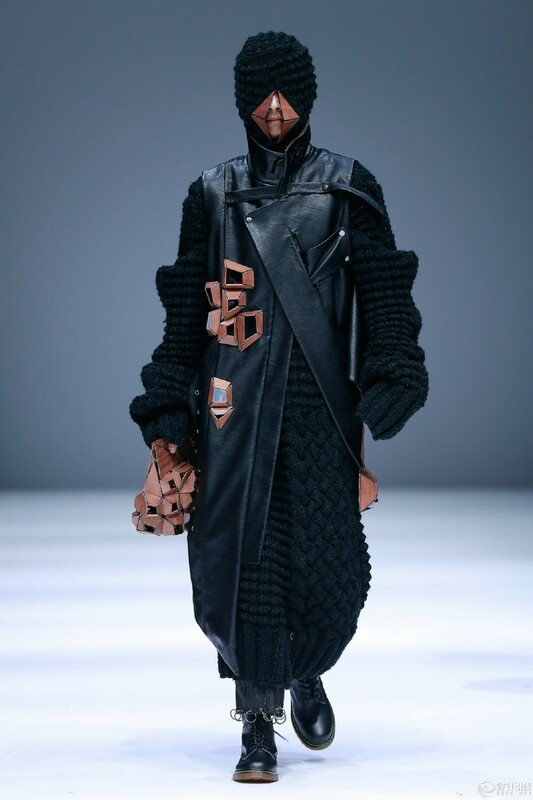 The design works presented in the show consisted of over 40 series, totaling 90 sets of outstanding works, selected from more than 500 series designed by graduates majoring in fashion design (i.e. 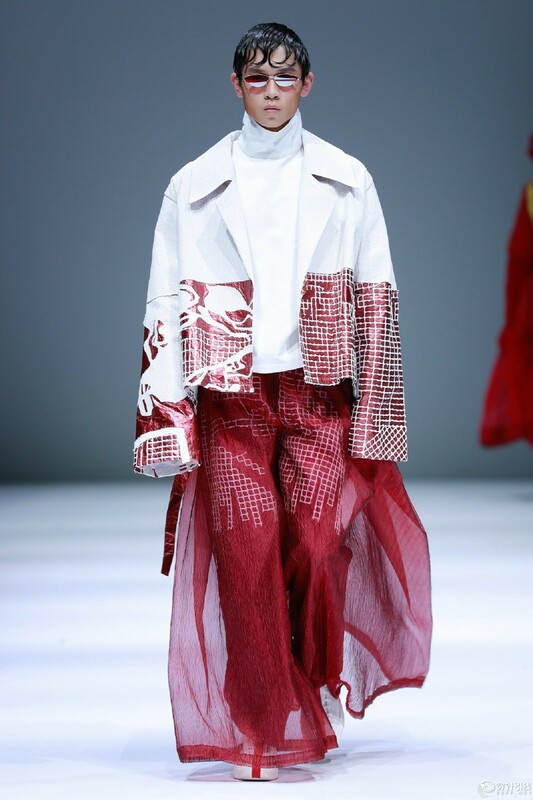 fashion, needlework art design, fashion image and display, outstanding designer class), costume performance, textile design and engineering (i.e. 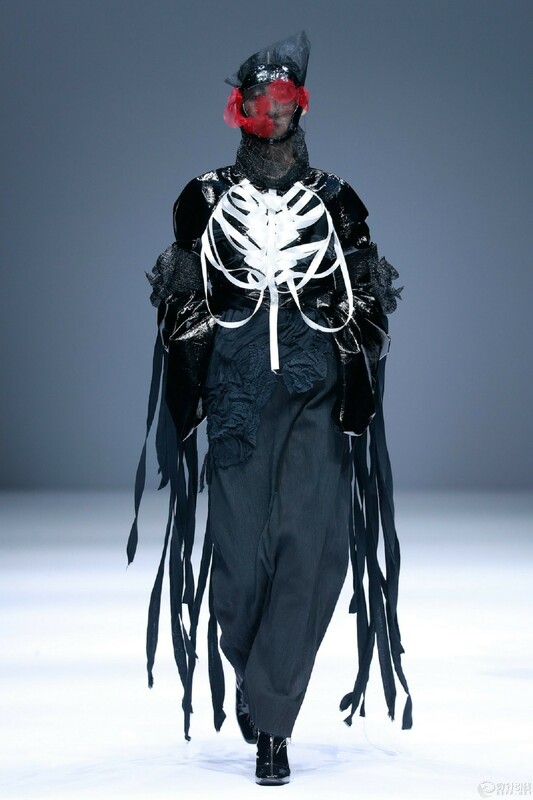 apparel design, lingerie design). 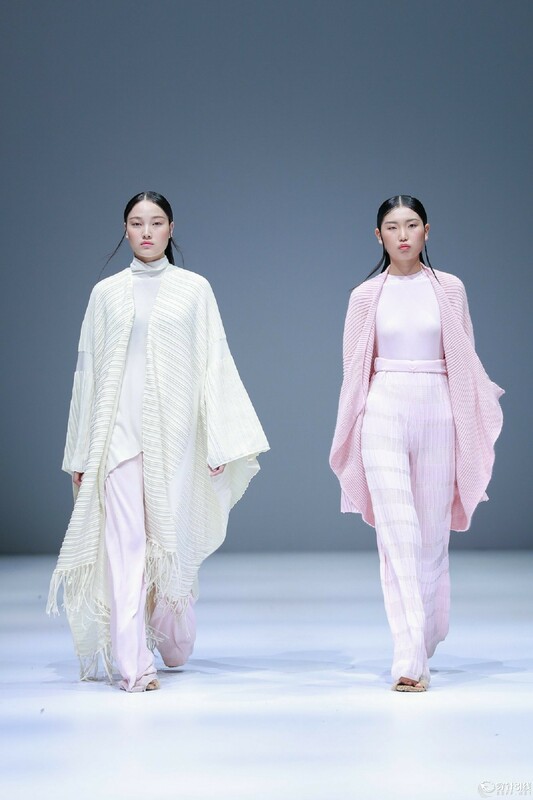 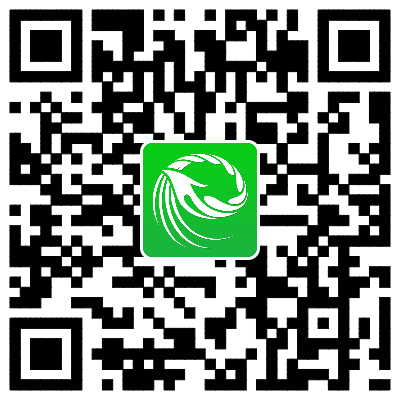 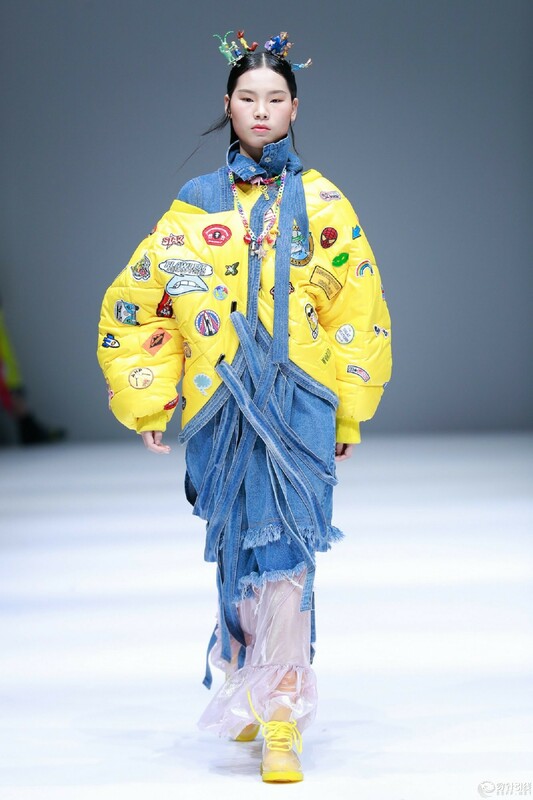 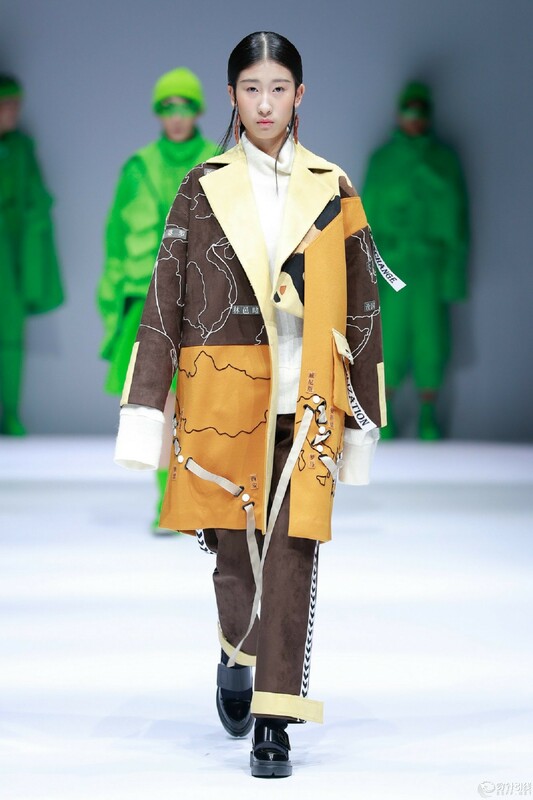 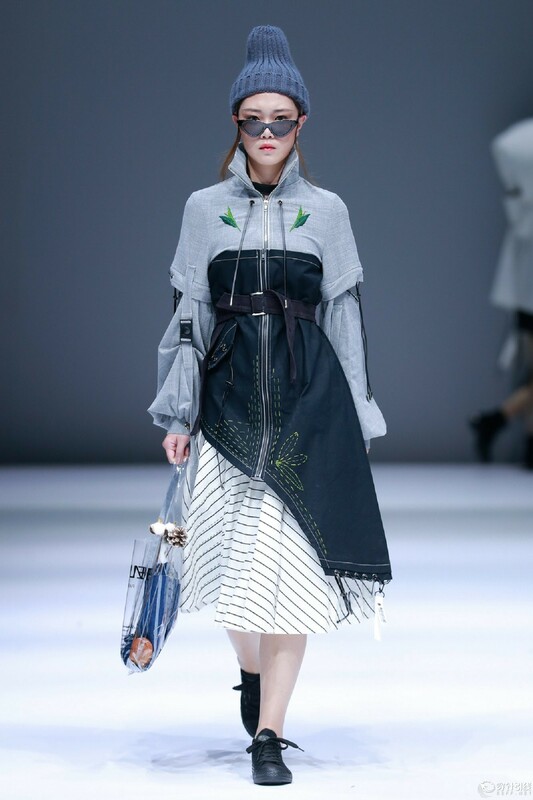 The show expected to dig out Han apparel culture and the expressional forms of traditional art, implemented bold design through fabric, colors and styles to show the contrast and fusion of culture, history, innovation and farsightedness. 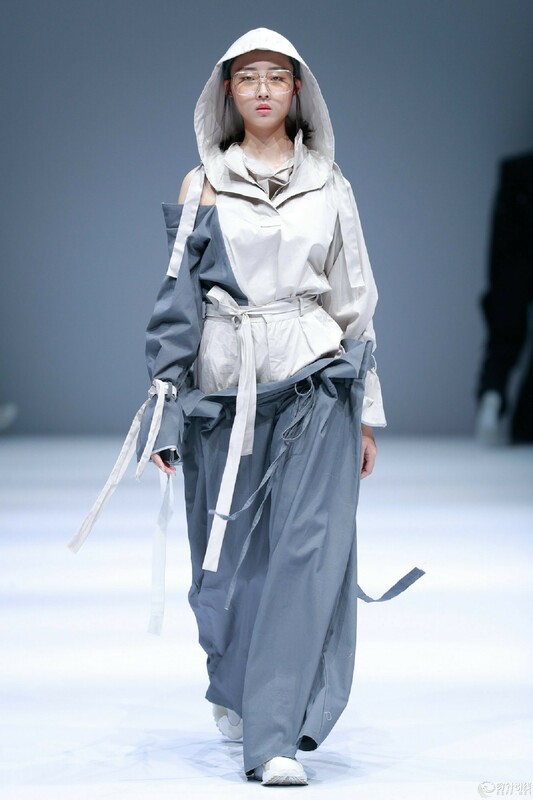 Besides natural materials, such as cotton, silk and wool, non-clothing materials like PVC, wood and metal were included. 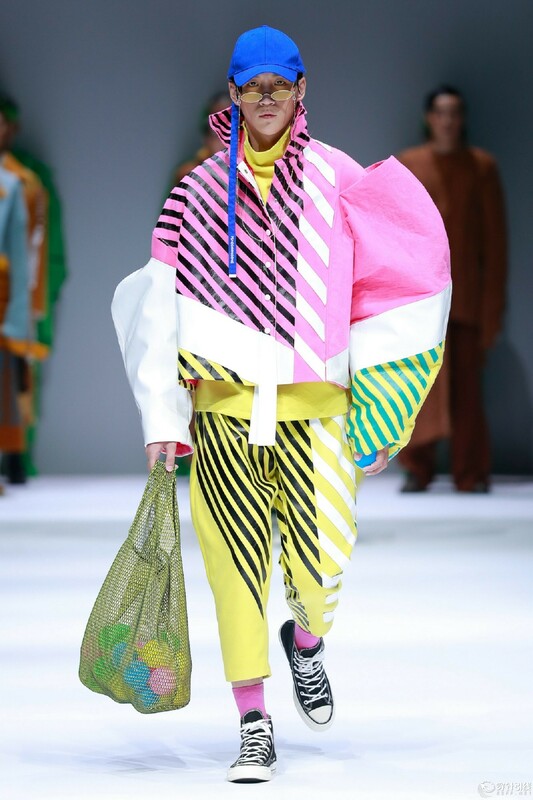 Regarding colors, grey and vigorous colors, including bright pink, bright green and bright yellow, were employed. 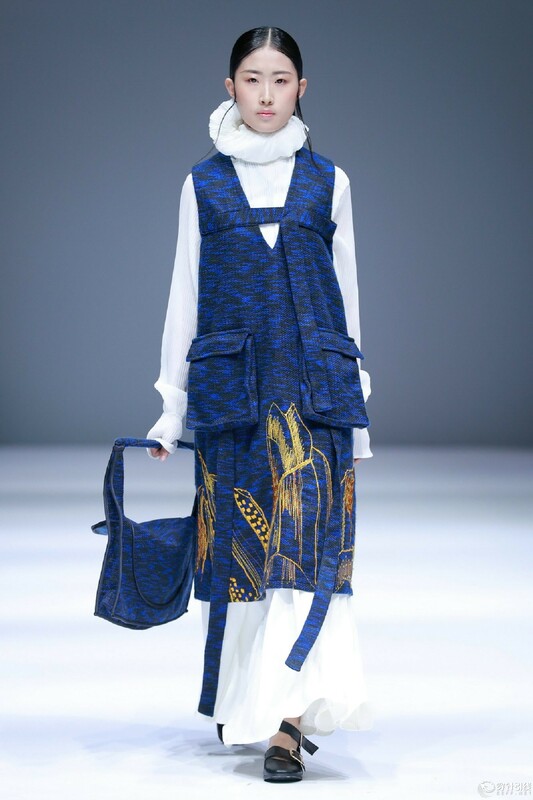 For casual wear, some structures seen in traditional apparel, such as broad sleeves, overhang, which indicated the oriental charm. 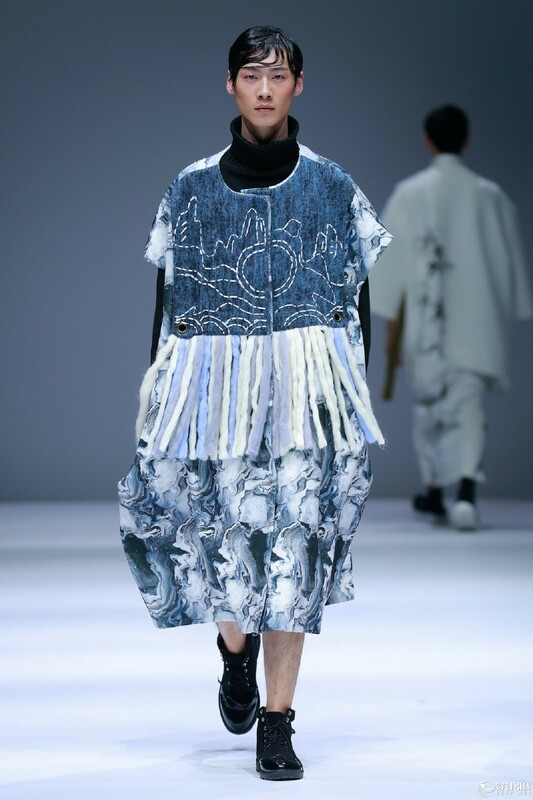 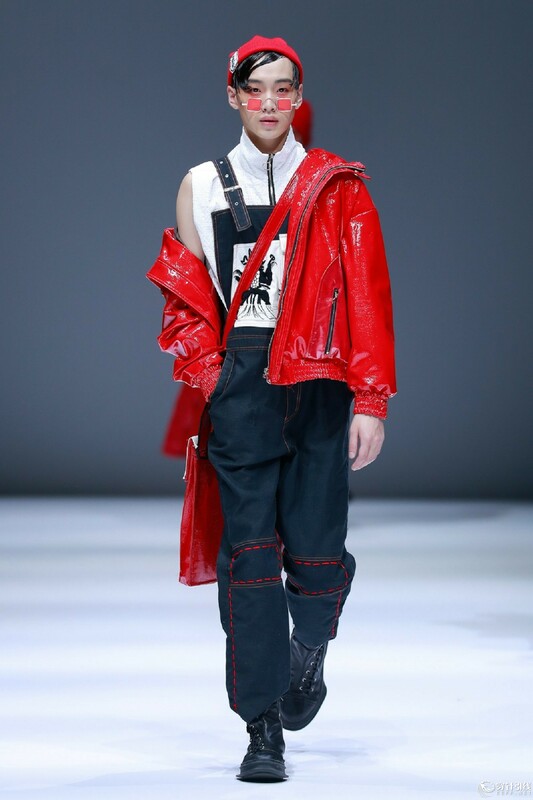 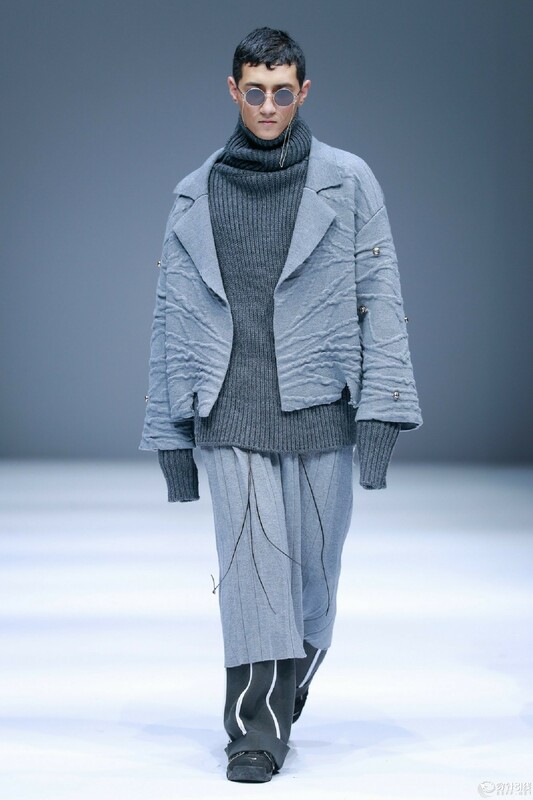 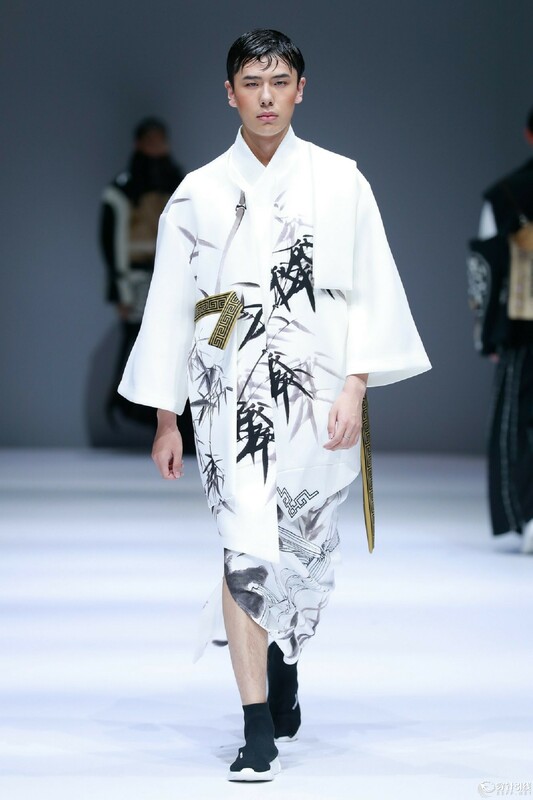 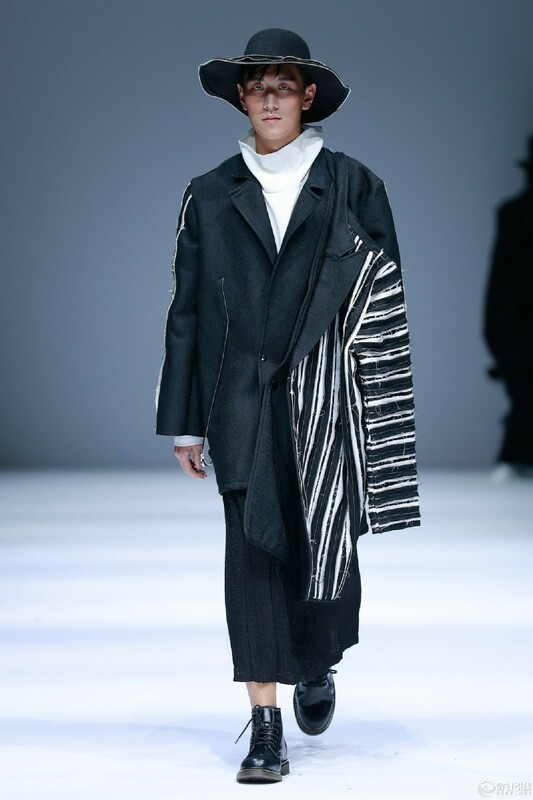 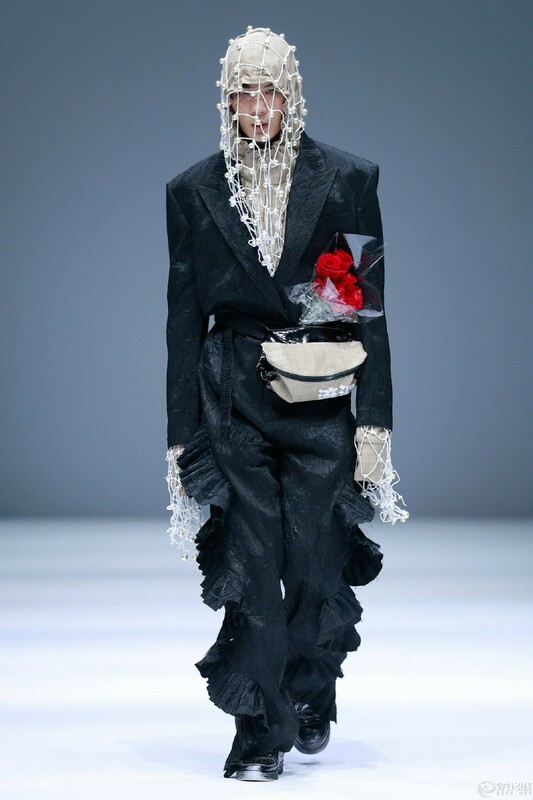 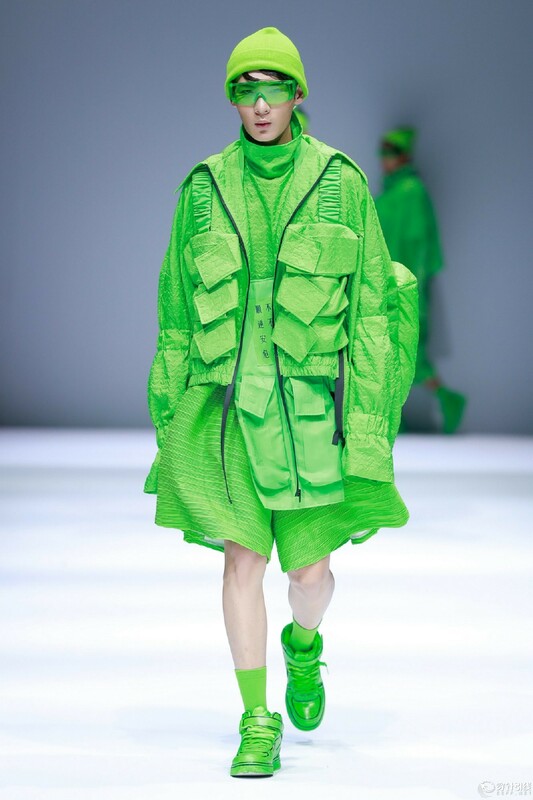 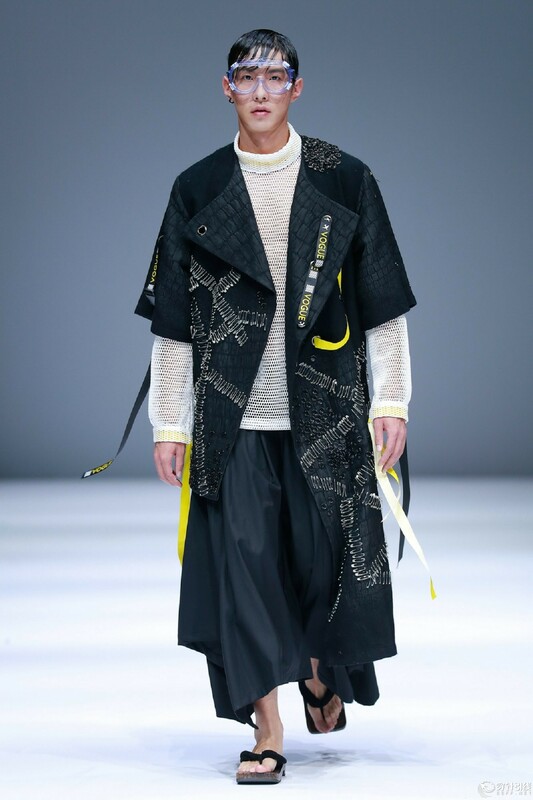 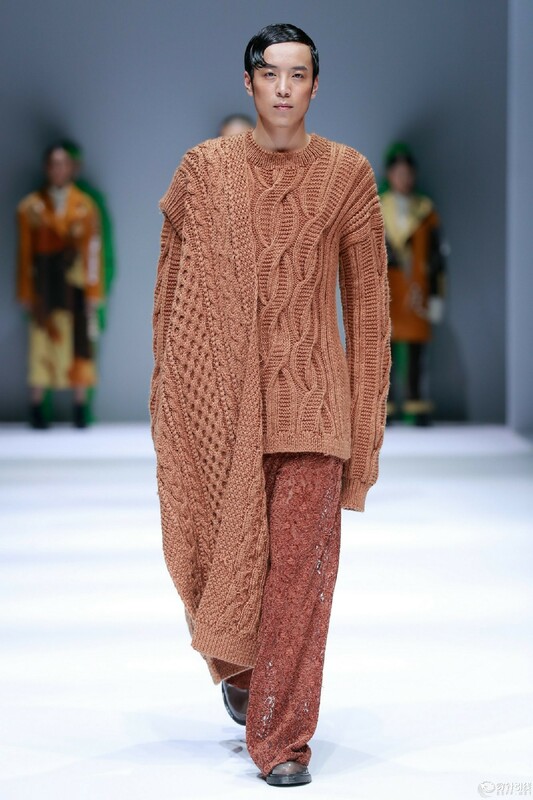 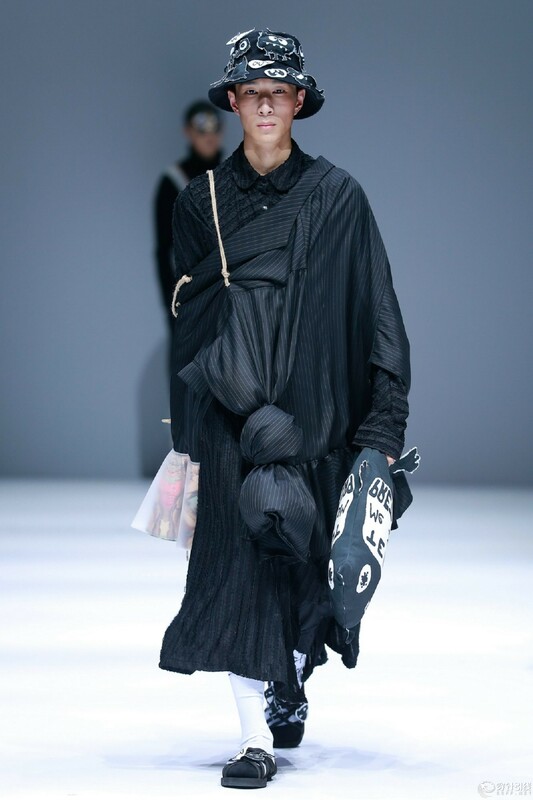 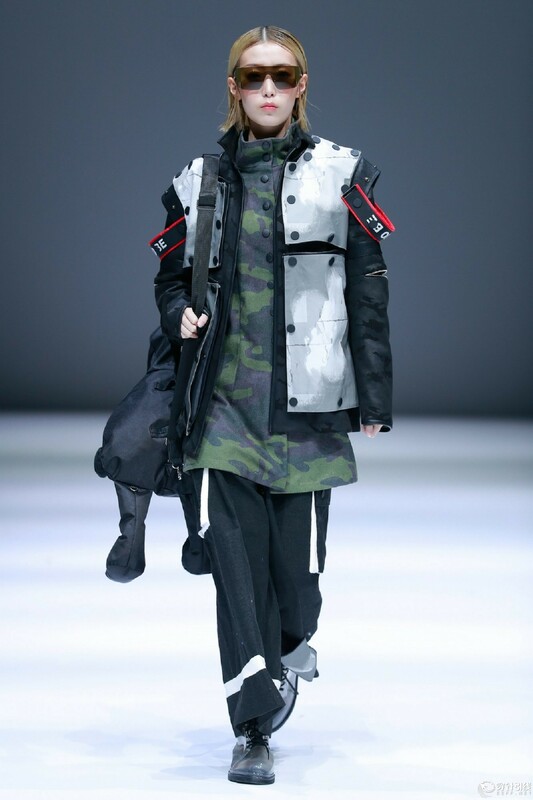 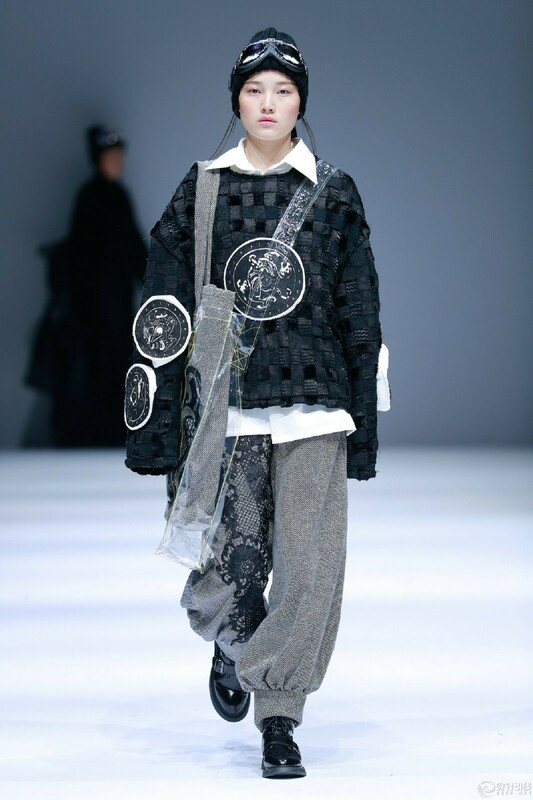 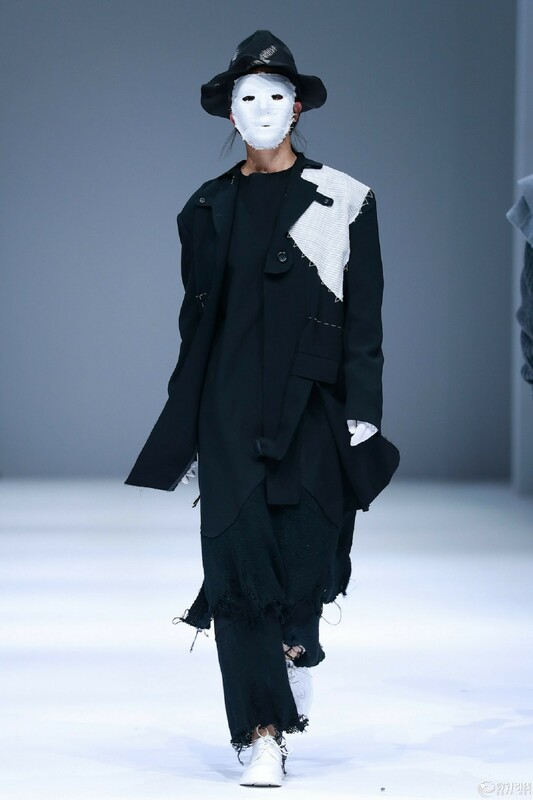 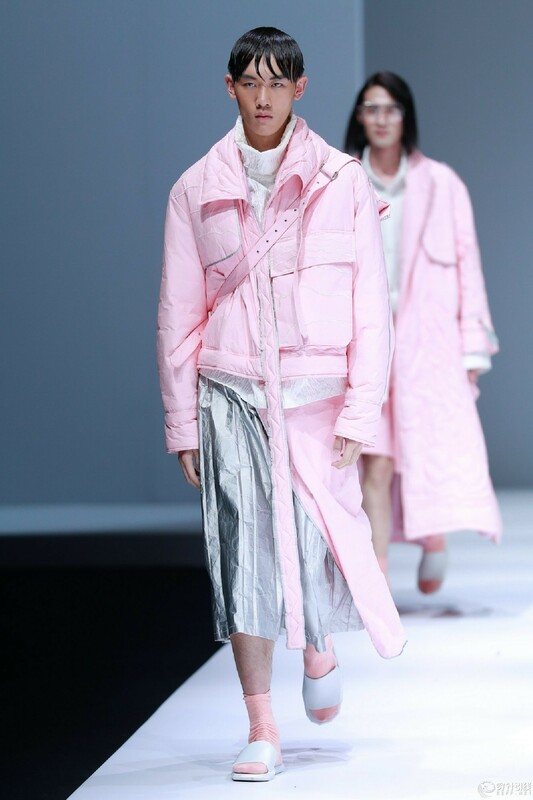 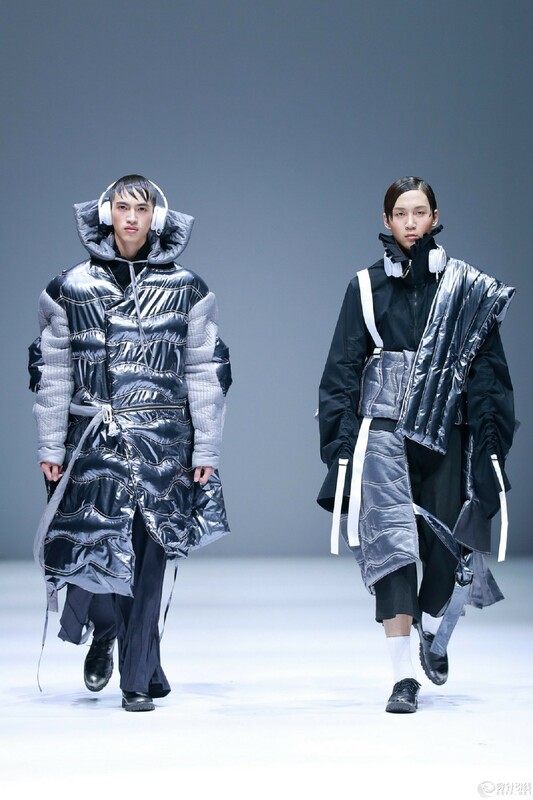 In addition, among the design works of this year, the number of men’s wear significantly increased. 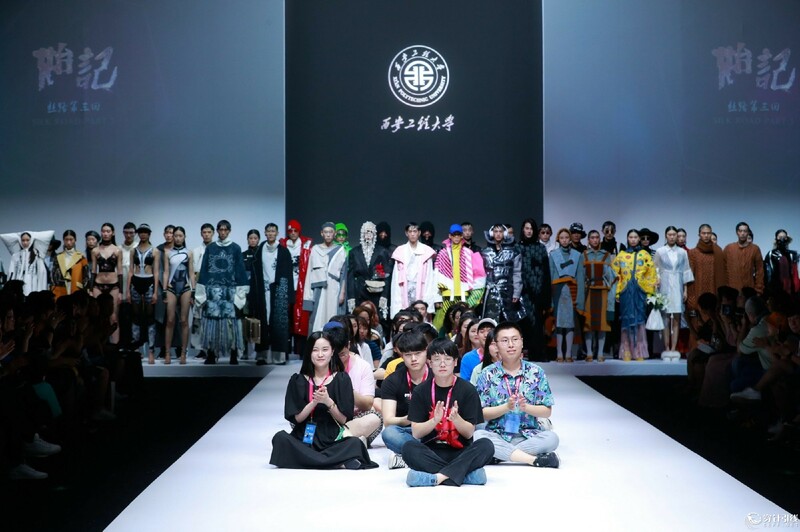 Compared with previous shows, what made this show unique was that it hoped young people can slow down their pace to think about the cultural deposits of Xi’an, an ancient capital that served 13 dynasties, from the perspective of Han culture. 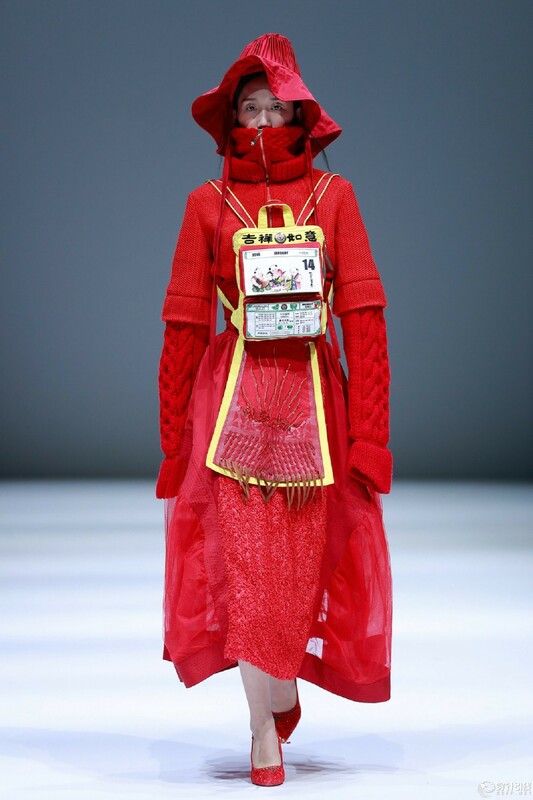 It placed high value on the excavation and research of traditional Chinese apparel culture. 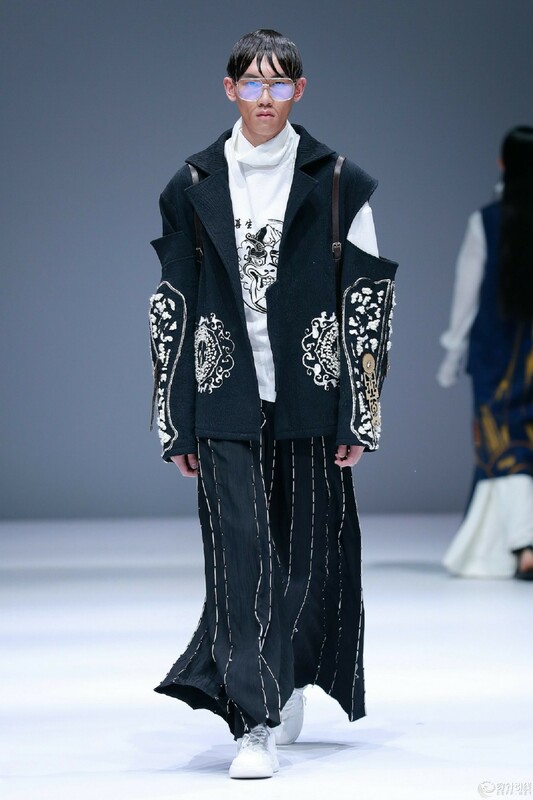 Besides stressing the façade of western apparel structure, these design works also paid attention to the respect for and heritage of traditional Chinese culture via overhang, freehand painting and handwork embroidering, etc. 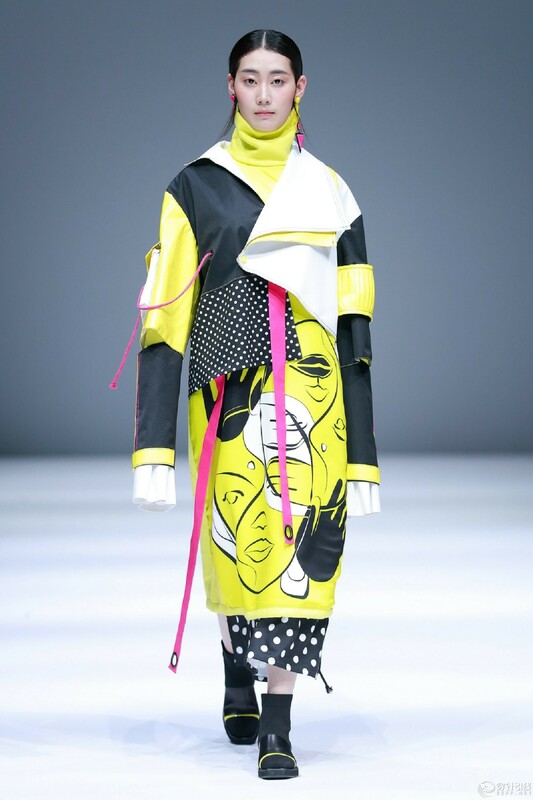 Thanks to these young designers, these seemingly unmatched materials, bold color employment and exaggerated dimension contrast perfectly matched, representing a new interpretation of the new power and new viewpoint.